AliensAncient AnthropologyAnunnakiDelugeEnkiEnlilNingishziddaSasha Lessin, Ph. D.
WHEN THE GODS (most of them, anyway) LEFT US by Sasha Lessin, Ph.D.
On Earth, the Nibirans divided into two warring factions. The faction loyal to Nibiran Goldmining Operations Commander Enlil/Yahweh. This factions’s the Enlilites. Enlilites included Enlil’s sons, Ninurta, Adad and grandson Utu, and usually his son Nannaras well as Inanna. Sitchin calls the rival faction, the Enkiites, since Chief Scientist Enki/Adonoi/Ptah/Pseidon and his sons, Marduk, Ningishzidda, Gibel, Nergal, Dumuzi, Enki’ s grandsons, Asar/Osiris, Seth and his great grandson, Horus–the Enkiites. Ningishzidda and Nergal subsequently defected to the Enlilites. We feel our oneness with all people and together survive when we see we’re all kin, descended from the same ancestors, ancestors from two different planets. When we accept our hybrid origins, we nullify what the elites the Nibirans imposed on us demand. We instead cooperate with all. We drop hate the gods scripted on us. 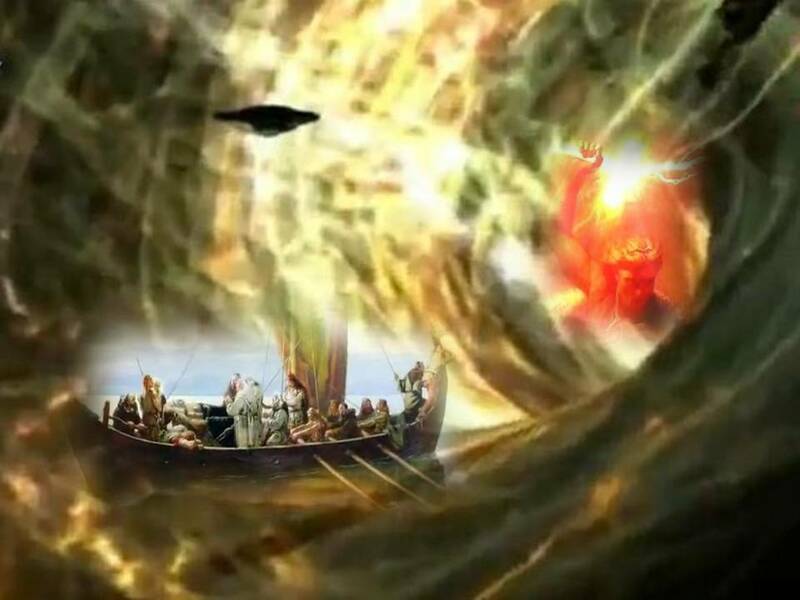 When we feel our oneness, we survive together; we jointly plan for the periodic return of Nibiru, its astronauts, and the debris that lurks at its Lagrange point, 180 degrees from Nibiru on its orbit around its subdwarf primary star, Nemesis. Contrary to Genesis, literature written 4000 years before the Bible’s propagandists made their spin on the tale, Enki, his son Ningishzidda, and half-sister Ninmah, created our adapted– mostly Nibiran, but with a bit Erectus–hybrid ancestors to resolve Nibiran astronauts’ strike in the goldmines. The adapted slave species replaced the pure Nibiran miners. Each generation, Enki mated with the prettiest females born to the hybrids; he multiplied the ratio of Nibiran to the small number of Erectus genes in our stock. He gave his part-Earthling but mostly Nibiran son Noah a computer program that showed him how to build the submersible to save the bloodline and to save and rule humanity. On Earth, the Nibirans divided into two warring factions. The faction loyal to Nibiran Goldmining Operations Commander Enlil/Yahweh. This factions’s the Enlilites. Enlilites included Enlil’s sons, Ninurta, Adad and grandson Utu, and usually his son Nannar as well as Inanna. Evidence of the last Nibiran spaceport on Earth includes 740 take-off trails atop huge scraped drawings [geogylphs] of “known and imaginary animals and birds made by removing the topsoil several inches, executed with one continuous line that curves and twists without crossing over itself. Attempts to show that a horde of workers working at ground level and using scrapers could have created these images failed. Someone airborne used a soil-blasting device to doodle on the ground below. 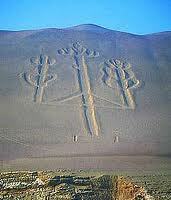 In addition to the geoglyphs, there are actual lines, “the Nazca Lines, that run straight without fault. These stretch–sometimes narrow, sometimes wide, sometimes short, sometimes long–over hills and vales no matter the shape of the terrain.” The straight lines “crisscross each other, sometimes running over and ignoring the animal drawings. Enlil’s main rival “god, Marduk, gave Hammurabi, Marduk’s king at Babylon, “a powerful weapon, called “Great Power of Marduk”, with which he subdued all Sumer, save the Enlilite strongholds of Adad in Assyria and Ninurta in Lagash. In the 12th Century B.C., the Enlilite’s King TIGLAT-PILESER I of Assyria conquered Lebanon and captured Marduk. “City states in western Asia, along the Mediterranean coast, Asia Minor and Arabia became magnets, attracting migrants and invaders. PEOPLES OF THE SEA tried without success to settle in Egypt and instead occupied the Canaan coast.” Abraham’s descendants begged Enlil for kings to stop barons’ feuds. Enlil choose as king SAUL, then DAVID; David made JERUSALEM Capitol of Israel. Around 1200 B.C., Greeks led by Agamemnon, Menelaus and Odysseus attacked Hittite allies of Adad and Inanna at TROY. Diamedes, a part-Nibiran Greek Earthling, wounded her but she recovered. Her son, AENEAS, who’d fought on the Trojan side, escaped to Carthage, then to Italy. Jezebel came to a magnificent temple of Astarte/Inanna Ahab build for her in Samaria, north of Jerusalem. She traveled with servants, traders and emissaries of Tyre, 400 priestesess and 450 priests. When Ahab defeated an Assyrian attack, ELIJAH, Enlil’s representative in Israel, blamed her for Ahab’s decision not to sacrifice the captured Assyrian king and his men to Enlil and instead create an alliance with Assyria. Enlil and Elijah wanted Ahab and Jezebel deposed and killed. Enlil evidently either used a HAARP- type weather device or observed weather patterns and took credit for them to punish the Israelites for their merciful treatment of the Assyrians and Ahab’s failure to prevent worship in Israel of other Nibiran “gods”. Elijah created a challenge, Enlil’s priests and Jezebel’s would see whose cattle sacrifice Enlil would accept on Mt Carmel. Enlil, of course, accepted his priests’ bull but rejected the bull of Jezebel’s priests, whom the witnesses then, at Elijah’s insistence, killed. Jezebel, furious, exiled Elijah, who fled Israel. But in Israel, Enlil’s priests framed Jezebel as engineering the death of a landowner whose property she coveted. Elijah issued a fatwa–”Dogs shall eat Jezebel.” Enlil took Elijah aloft in his aircraft (but told ELISHA, Elijah’s successor as Prophet of Yahweh that he killed Elijah). Elisha engineered another Assyrian attack, in which Ahab was killed. Then Elisha suborned HAZAEL, Ahab’s Chief of Staff and had Hazael murder the Assyrian king. Hazael made himself ruler of Assyria. He made a deal with the generals of Israel and Judea (Judea was now ruled by the son of Jezebel and Ahab) to murder the rulers of both Israel and Judea. Hazael made JEHU (a descendant of Zimri who’d assassinated Israel’s king Elah before Ahab’s father Omri killed him) King of Israel and had his men throw Jezebel to her death from her second story to be torn apart by mastiff dogs. Adad and Nergal again sent an Assyrian king–SHALMANESER III–with technologically-advanced artillery against Marduk’s Babylonians. Shalmaneser won. In 722 B.C. Shalmaneser V captured Samaria in Israel. SARGON II, Shalmanser V’s successor, exiled the Israelites from northern Israel. In 689 B C., Sargon II’s son, SENNACHERIB and the Assyrians assaulted Babylon with missiles and occupied Babylon for the next seventy years. Sennacherib took Phoenicia, Gaza and Judea. But Sennacherib–without Adad’s okay, struck Jerusalem. Enlil hit the Assyrians who’d dared to turn against him at Jerusalem, with a techno-weapon that killed 185,000. Sennacherib fled back to Nineva in Sumer. He named his younger son ESARHADDON his successor. In 612 B.C., Babylon’s King NABUPOLASSAR captured Nineva and the Assyrians retreated to Harran. Sennacherib’s older sons killed him, but Nibirans hid Esarhaddon. Enlil sent Inanna to Assyria. She disarmed the Ninevans and destroyed their weapons. “Esarhaddon rules,” she proclaimed. In Mexico in 3113 B.C., Ningishzidda/Thoth (called QUETZLCOATL in the Americas), whom Marduk had deposed in Egypt, brought Sumerian Overseers and Black African foremen and technicians, the OLMECS,” to Mexico and Central America and with them organized the Maya, descendants of Ka-in’s from the Anunnaki sites in Peru and Colombia. Ningishzidda left his Olmecs and transplanted Sumerians around 600 B.C., but said he’d return on the anniversary of his number, 52. The Maya and slew the Olmecs and the Overseers. In 587 B.C., forces of Marduk’s Babylonian king NEBUCHADNEZZAR overran Enlilite forces in Jerusalem. Nebuchadnezzer installed a puppet king, ordered worship of Marduk, and took leading citizens of the city as hostages back to Babylon. Enlil told one of these hostages, EZEKIEL, he’d punish the Jews for worshiping Marduk and the people of Jerusalem believed Enlil’d deserted them. In 539 B.C., welcomed by Marduk, Cyrus of Persia conquered Babylon and returned Nebuchadnezzar’s hostages to Jerusalem. Cyrus’ successor, CAMBYSES, added Sumer, Mari, Mittani, Hatti, Elam, Assyria, Egypt to the Persian Empire. DARIUS, who murdered Cambyses in 522 B.C., ruled the extended Persian Empire. He unsuccessfully invaded Greece in 490 B.C.. In 480 B.C., his successor, Xerxes, also unsuccessfully attacked Greece. PHILIP II of Macedonia united Greece by 338 B.C.. From 334 -331 B.C., his heir, ALEXANDER, who thought Marduk fathered him, conquered the Persian Empire, the Indus and Egypt. Egyptian priests at Siwa confirmed Alexander as Marduk’s son. Ningishzidda-Thoth-Kuklaklan-Hermes, one of the lead Anunnaki geneticists and teachers of humanity left Central America, saying he and his father Balam Yokte (Enki) would return on December 21, 2012, and challenge the forces of evil on Earth.